As with its bestselling predecessor, Death in Profile, the book develops the lives and loves of the team at 'Hampstead Nick'. While the next phase of a complicated love triangle plays itself out, the protagonists, struggling to crack not one but two apparently insoluble murders, face issues of national security in working alongside Special Branch. 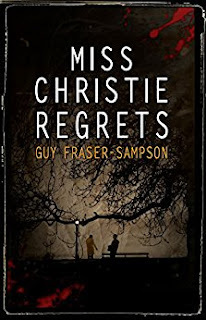 I read Miss Christie Regrets quite soon after reading Death in Profile, the first book in the Hampstead Murders series, so it was good to meet the colourful characters of Hampstead Nick again. 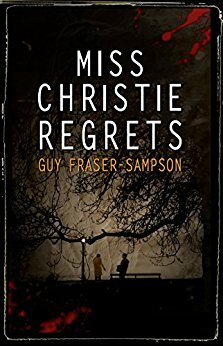 You could be forgiven for thinking that this is a Victorian murder mystery as Guy Fraser-Sampson has such a unique writing style that transports the reader to the Golden Age of detective fiction whilst reading a story based in the present day. DS Karen Willis and her partner, Dr Peter Collins, find themselves in the middle of a crime scene when a body is discovered as they are visiting an art exhibition at Burgh House. As the police dig for clues using good old-fashioned police work, they could never have imagined the direction that this case would take them. Could Agatha Christie hold the key to determining the murderer? It's so very refreshing to read a modern book about a murder without expletives and gory details. The reader really feels part of the investigation as the clues are gathered and you come to your own, inevitably wrong, conclusions. 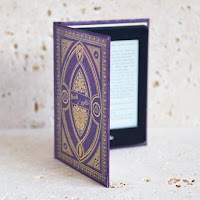 I absolutely loved the references to Agatha Christie and whilst Death in Profile was labelled as a love letter to the detective novel, Miss Christie Regrets is surely a love letter to Dame Agatha herself. I would recommend reading Death in Profile first to get the history of the characters, although it won't lessen the enjoyment of the story in Miss Christie Regrets as it's possible to be read as a standalone. If you're a fan of blood and gore, you really won't enjoy this series but if you like to collect clues and try to work out the conclusion before it is revealed, you will absolutely love this series. Guy Fraser-Sampson turns gold to platinum with his modern day golden age detective fiction series. I'm really looking forward to the third book in the series: the brilliantly named A Whiff of Cyanide.